9 Frame Radial extractor powered by variable speed drill. 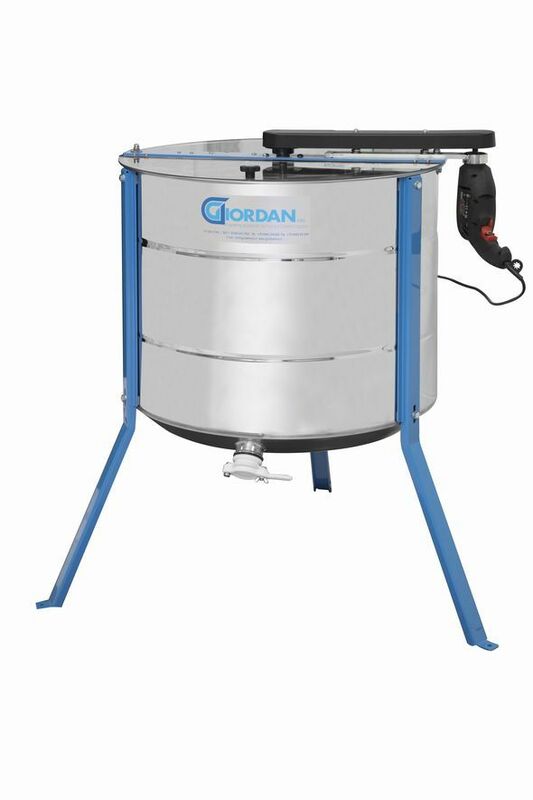 This is a super extractor at a very good price. There is the option to buy a drill too. This new version has a welded bottom and the tap is positions lower down to allow for better drainage. Extractor cages can be adapted to suit most frame types and will take all super frames radially. 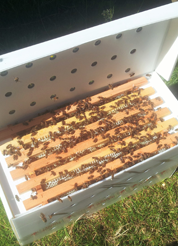 The cages allow for extraction of brood frames and they do take national, 14x12, commercial and Langstroth brood frames.